We have decided to write this post for you as an additional information about us. A few customers have asked before, whether they can pay using their credit card. Well, to answer that, yes we do accept credit cards! 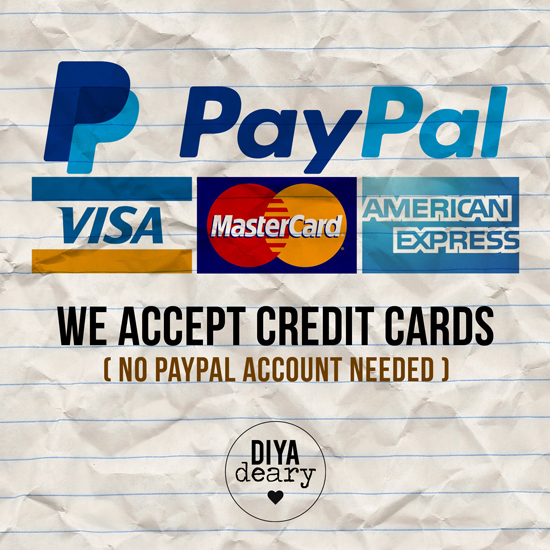 All credit cards payment will be done via Paypal. The best part is, if you don't have a Paypal account, you still can do the transaction! Yup, no Paypal account needed for the transaction, just your credit cards. Different rate apply for international buyer hence, please contact us for your country rate! Fabric Flower Brooch Sets Fast Sale!